[America]’s philanthropy is unique. Its two key institutions are the tax deduction for charitable gifts and the tax-exempt foundation. Noting the role of the Ford Foundation in Lyndon Johnson’s “war on poverty” in the 1960s, Daniel Patrick Moynihan, the late senator, called foundations a “new level of American government”. Americans pat themselves on the back for their generosity, not always with good reason. Olivier Zunz, a historian of philanthropy at the University of Virginia, calls American charity a “capitalist venture in social betterment, not an act of kindness as understood in Christianity”. Giving to a foundation can be self-interested – a way for a rich person to launder economic power that he does not need into political power that he does. Foundations inevitably get politicised, not because donors are corrupt or insincere but because they are rational. Lobbying for a piece of a government budget is a more efficient way of serving most causes than simply spending donations. Note that this story comes on the heels of the recent news about how presidential candidate Mitt Romney has used donations to the Mormon church to secure huge tax breaks for himself, even while he campaigns to dismantle agencies like FEMA. True to form, the Heritage Foundation has suggested that the right answer to Sandy and other natural disasters is for the private sector to support charities like the Red Cross. It is ironic that Heritage begins its discussion by lauding the fact that "Americans are already coming together to help family, friends, and neighbors." Isn't that, after all, the whole point of our democratic society: people come together and decide how to govern themselves, including how and when to help each other when disaster strikes someone you don't know personally but who is part of your larger community? to maintain a system of domestic and international disaster relief, including mandated responsibilities under the National Response Framework coordinated by the Federal Emergency Management Agency (FEMA). Yes, the federal government and the several states contract (pay) the Red Cross to fulfill government functions, even on occasion appropriating funds for the direct support of this organization. It is not an independent charity that sinks or swims on the altruism or lack thereof of the giving class. It is a public/private hybrid that relies on donors and the government, and--more importantly--that follows direction from the government in responding to matters involving the common good. It is not, in other words, subject solely to the whims of its donors in deciding what public goods to provide. The dismissal of FEMA that characterizes organizations like Heritage and sympathetic politicians like Romney and Ryan even while they laud charitable organizations like the Red Cross betrays the utter emptiness of their fundamental mistrust of "government" as well as that of their trust in the private sector to furnish necessary public goods. The central problem with relying on purely private charities to provide public goods like disaster relief is not that the donors are self-serving (they are) but that in promoting a mythical idea of a private sector that solves public goods problems without any coordination from government, you have to believe that such a sector exists and further that is can and will accurately assess public needs and mete out coherent responses. That involves a lot of faith in individuals and organizations that are subject to any number of cognitive biases and mistakes even while they are not subject to the same level of scrutiny to which we can subject government. The FT says, "most charity does some good for someone, at the price of a certain corruption." True enough, but what are we to do about public goods problems that rich donors don't find compelling or interesting enough to support? Moreover, where is the accountability if no private charity steps up to meet a given demand or that in responding to a real and serious demand, bungles the job? That is why the Red Cross' mandate from the federal government to respond to FEMA reveals the bankrupt idea of anti-government sentiment when it comes to disaster management in particular and government vs charity more broadly. We should be very skeptical of any attempt to wrest the mandate to provide public goods out of the hands of government and into the hands of the private sector alone. [Mr. Paulson's gift raises] no worries that well-heeled experts are bypassing or steering democratic processes. It simply puts a large fortune at the disposal of a beloved and perennially underfunded institution. There is no better use for a billionaire’s money, short of taxing it. That's the right answer. Taxes are what we pay for a civilized society: one in which public goods problems are identified, assessed, and responded to in a way that can be in turn assessed, evaluated, and yes criticised when necessary (cf: Katrina). That accountability loop exists in government, even if imperfectly. It is not the same for individual donors or purely private charities. Churchill's famous quote about democracy holds true for taxing and spending. It's the worst way to fix public goods problems except for everything else. Allison posted an extremely interesting article discussing capital flight from Africa (there were two studies, one for North Africa and one for Sub-Saharan Africa). While there are clearly development and finance issues implicated by this, I am most interested in the tax consequences. Capital flight from poor countries confounds traditional tax analysis. Neo-classical economics provides that capital should flow from rich countries to poor countries; since poor countries need it more, they will have higher demand and thus pay more for it. The problem is that this has rarely been observed in real life. Nobel laureate Robert Lucas first identified this in the context of Colonial India, where significantly less capital flowed from England than would be expected under neo-classical models. This was so contradictory to accepted wisdom it was dubbed the "Lucas Paradox." Yet the empirical research, including the articles cited by Allison, keeps finding this result, over time and among countries. The Lucas Paradox has received a fair amount of attention in economics literature, but far less in tax literature. Instead, the driving policy behind international tax has been "neutrality" - that is, minimize tax distortions to capital flows around the world. The theory provides that neutral tax laws would increase efficiency as they would permit capital to go where it is needed most. But what if capital doesn't flow to high demand countries even when the tax laws are neutral? In that case, I argue, certain countries may have no choice but to engage in tax competition just to attract some minimal amounts of capital. If neutral tax laws are in fact creating or exacerbating incentives for certain poorer countries to engage in tax competition, presumably that should be taken into account when structuring US tax laws. In other words, if the same model that predicted capital flows to poorer countries also recommends neutrality as the primary policy goal of international tax, why shouldn't we question that policy as well? What would a non-neutral tax law look like? Perhaps it would subsidize investment in poorer countries. Perhaps it would basket income from poor countries differently than wealthy countries, or allow blending of losses across certain countries, or permit different structuring rules in such countries. This might come across as heresy to some, but in fact this used to be US tax policy , before it was repealed in the 1970s in the name of neutrality. The real lesson may be that there are no "first best" solutions to international tax. Neutral tax laws may work best for wealthy countries but could lead to intensified tax competition from poorer countries, while non-neutral laws could distort economic decision-making in, at best, a second-best manner. This may not be a deeply satisfying answer, but simply pretending the empirical results don't exist doesn't seem any better. "The performance of Sub-Saharan African economies over the past decade has inspired optimism on the region's prospects. But the region still faces major development challenges, and it is now clear that the majority of its countries will not achieve key millennium development goals. A key constraint to SSA's growth and development is the shortage of financing. At the same time, the sub-region is a source of large-scale capital flight, which escalated during last decade even as the region experienced growth acceleration. The group of 33 SSA countries covered by this report has lost a total of $814 billion dollars from 1970 to 2010. Boyce and Ndikumana compare this to the level of development aid and foreign direct investment received by these countries. Assuming that flight capital could have earned the modest interest rate measured by the short-term U.S. Treasury Bill rate, they find that the accumulated stock of capital flight far exceeds the external liabilities of this group of countries, making the region a "net creditor" to the rest of the world. This report provides updated estimates of capital flight for 33 SSA countries from 1970 to 2010. It describes the methodology used to estimate capital flight and highlights important methodological differences with other existing studies. The report presents key results on capital flight both in absolute terms and in comparison to other capital flows, especially debt, aid, and foreign direct investment, as well as in relation to the size of the economy (as percentage of GDP and in per capita terms). The report stresses the urgency of efforts to stem capital flight and repatriate stolen assets as a part of the broader goals of scaling up development financing, combating corruption, and improving transparency in the global financial system." When the list gets too long to count, will we finally come to see that tax dodging is in the fabric of the income tax as practiced by most countries today? It is structured, systemic, and by design, not a loophole, not a bug. It is the dominant culture. Probably it is destroying the income tax for all intents and purposes. “Graduating to a pay gap” finds that women working full time already earn less than their male counterparts do just one year after college graduation. Taking a closer look at the data, we find that women’s choices—college major, occupation, hours at work—do account for part of the pay gap. But about one-third of the gap remains unexplained, suggesting that bias and discrimination are still problems in the workplace. Is Romney proposing a new AMT? Believe it or not, for a tax professor I actually have not been following the tax plans of the two candidates for president very closely ... mostly because they are both frustratingly vague. But as of late one particular item has caught my eye: Romney's proposal to cap itemized deductions at a fixed dollar amount (not a percentage) combined with a large cut in the marginal tax rate. The idea, I think, is that marginal tax rate reductions lower the substitution effect on labor while capping deductions offsets the revenue on a less elastic base, thus increasing growth with no revenue cost. There is some theoretical support for a proposal like this, and some theoretical critiques as well. But I would like to focus on a different issue. Romney likes to say that this is a return to the Reagan tax policy. But it seems to me this more closely matches another aspect of tax law - the AMT. Under the AMT, taxpayers recalculate their tax liability by getting rid of a number of deductions and applying a lower marginal rate. Sounds familiar. Of course, Romney also proposes repealing the current AMT. But the combined effect of repealing the existing AMT with the other proposals seems quite similar (at least to me) to repealing the entire income tax and leaving the AMT. Romney says that his proposal will only effect the wealthy. This was the same justification for the AMT in the first place. In fact, I have no reason to believe this was not sincere. Unfortunately, the experience with the AMT has not matched this expectation. Take the Klaasen family. According to the case, the Klaasen's faith required large families, and the Klaasens had ten children. Under the regular income tax, the Klaasens owed very little tax due to the large number of exemptions and credits available for children, as well as other itemized deductions. Under the AMT, however, the itemized deductions and tax benefits for children were taken away and a much lower rate applied. Despite the lower rate, the Klaasens ended up owing significant AMT. They sued, claiming this violated their First Amendment rights and that the AMT was not intended to reach poor families with large numbers of children. The court disagreed, noting that the statute was clear in how it worked and was neutral as to religion on its face. Similarly, the wealthiest rarely get hit by the AMT for one simple reason - the capital gains preference does not get taken away by the AMT. Similarly, under Romney's plan as I understand it, the preference would not be affected (in fact, Romney proposes dropping it even further for taxpayers under some threshold). Thus, taxpayers earning primarily capital gains (and presumably qualified dividends) won't be affected by the cap on itemized deductions. The AMT also sneaks up on people with unexpectedly high, nonrecurring itemized deductions in any one given year, such as professors visiting at another school for less than one year. Presumably a cap would do the same. Perhaps the biggest problem with the AMT, however, is that the "AMT Exemption Amount" - basically the amount of income exempt from tax - is a fixed dollar amount not adjusted for inflation. Thus, as salaries grew over time due to inflation, more and more people were thrown into the AMT. Similarly, Romney has proposed a fixed dollar amount cap on itemized deductions. Presumably, unless Romney proposes adjusting his itemized deduction amount for inflation, the same effect would occur under his plan. As inflation increases salaries, more and more people would be hit by the cap. This would increase revenue, but it would do so by taxing inflationary gains of middle class earners rather than real consumption or savings. This was not an unexpected accident under the regular income tax, in fact CBO counted increased AMT collections without the so-called "AMT Patch" - which would offset inflation - in calculating revenue under the so-called "Bush tax cuts" in marginal tax rates. It is also why the "AMT Patch" hits the budget every year, in increasing amounts. (See here for a summary). I do not know if this analysis is correct, mostly because of a lack of detail, but it seems plausible. If true, both candidates propose raising revenue - one through higher marginal rates and one through taxing inflationary gains of earners on the margin of the deduction cap. This really presents a true choice between theoretical tax bases, and thus is how I wish the choice was presented. Perhaps the Wall Street Journal and New York Times editorial boards will read this? I will tell you what a derivative is, but I will take a while to get there, and since I won't use words like "put option" or "synthetic CDO" you may feel cheated. That is okay. If you want to understand derivatives, you must learn to live with uncertainty, and also with feeling cheated. ... and let's start somewhere else. There is a world. That world will have a future, and that future is uncertain. There are different possible states of the world, and different things will happen to you in those different states. If it's cold this winter, you will be sad, or perhaps happy if that's what you're into. If it rains tomorrow, you will get wet. If you take an economics course, you will start to talk like this. If you are a company or an investment fund, the outcomes that you care about can pretty much be reduced to money: if it's cold this winter, individual workers and managers might be happy or sad, but the company has no feelings. The company just has money. If it's cold this winter, the company might have more money, if it's an oil company, because people will buy more oil to heat their homes. Or it might have less money, if it's in the agriculture business, because its crops will freeze. Or it might have the same amount of money, if it's, like, Facebook or whatever. The world is not this simple. 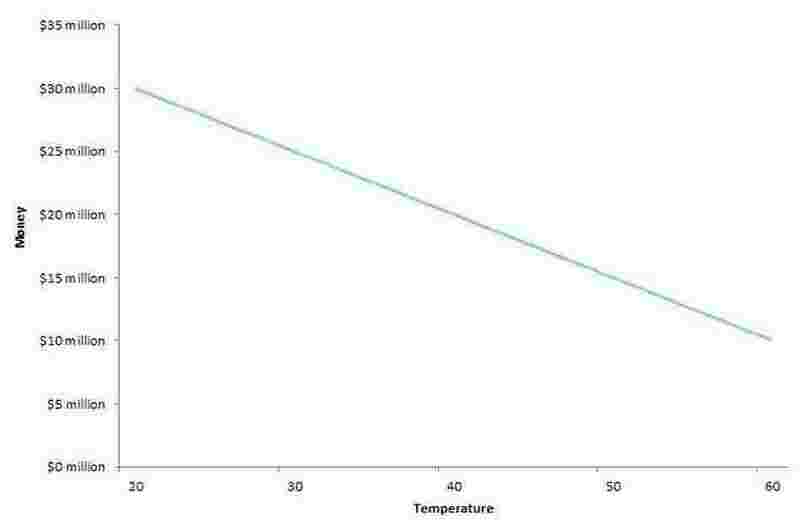 This is a simple chart but you should see immediately that it's wrong, or at least not right. Of course you can't predict how much money an oil company will make just by knowing the weather: there are many other things going on. Matt follows this intro with more great charts and graphs to explain hedging, prediction, and risk in the derivatives market, and concludes with "Next time, maybe: What I did in banking, or, derivatives for regulatory arbitrage, or, why everything above was false." Levine also wrote "What Investment Bankers Do All Day," another snarky and fascinating piece ("The short answer: nothing. The long answer: They're "obsequious and needy" "middlemen" who find people looking to invest money). From the Telegraph: "Goldman Sachs has joined in a much better-than-expected third quarter for Wall Street, raising the prospect its bankers will take home bigger bonuses this year." It seems the backdoor bailout worked. Can we have our money back now? The Pay or Play Rule generally requires that "large" employers (i.e., those with 50 or more full-time or full-time equivalent employees) offer health plan coverage to full-time employees or potentially pay a penalty to the federal government. A persistent question for large employers has been how to define a "full-time" employee. The importance of "full-time" status cannot be overstated, because if an employer does not offer health plan coverage to just one full-time employee who then receives a federal subsidy to purchase health insurance at a Health Exchange, the employer could face a penalty of $2,000 per full-time employee per year. Also, if an employer offers health plan coverage to all full-time employees but the coverage does not offer "minimum value" or is not affordable for the employee, the employer could face a penalty of $3,000 per year for each full-time employee who receives a federal subsidy to purchase health insurance at a Health Exchange. More at the link including compliance tips for employers. Nice job Sarah! Labels: health care, tax policy, u.s.
We discuss the accounting rules that apply to reporting a U.S. company’s international operations. We use examples to illustrate diversity in accounting and offer caveats for policy makers, standard setters, analysts, and researchers regarding their interpretation and use of financial accounting information. Google’s “expected” provision at its federal statutory tax rate of 35 percent is a“hypothetical” federal income tax that Google would owe if all of its pretax book income was reported on its U.S. corporate income tax return. But Google reported an income tax provision (an amount it says it owes) of $2.5 billion, for an effective rate of 21%. The difference between the headline 35% rate and the 21% effective rate is explained by book/tax reporting differences for various taxes and credits, some of which are permanent differences (will never be reconciled) and some of which could be reconciled in the future, but the big difference is explained by its "foreign rate differential," which is short form for what Google saved by reporting its income as earned outside of the US. Much more in the paper. The basic story is not new, but it's nice to see how the policy choices that go into corporate tax disclosure play out in practice and how they inform our understanding of how the tax system works. The authors have a few suggestions for how non-accountants (including journalists) should understand and interpret what they find in SEC documents. I have been told that one of the reasons corporate managers resist greater tax disclosure in their SEC filings, such as is contemplated under Dodd-Frank and its impetus, the EITI regime (and country by country reporting more broadly) is the fear that people will misunderstand the information and therefore draw incorrect conclusions. The authors acknowledge the validity of this fear and explore how companies make disclosure decisions with public perception in mind. Yet this paper itself provides an antidote to that fear. It shows that tax data disclosure is capable of being correctly understood and interpreted. We may need experts to help us do that in the face of flexible rules and ambiguous cases, but there is no shortage of experts. At some point, government has got to be accountable. Here in Quebec, we have perhaps the highest tax burden in North America, and it appears we are using a lot of that money to line the pockets of all too many of our elected leaders. Tax and development experts have long argued that if you could only get the masses paying taxes, they will demand their governments be accountable to them for how those taxes are used (this has been the argument for salient taxes like the VAT, which everyone feels the pain of daily). This shameful abuse of taxpayers ought to get people into the streets banging pots. A free ebook, of interest. Canada's decision on Glaxo coming soon! The agreement required Glaxo Canada to buy its ranitidine from a member of the Glaxo Group, Adechsa, a nonresident company. Under that supply agreement, Glaxo Canada paid about five times as much per kilo for its ranitidine supply as its generic brand competitors paid for theirs (Glaxo Canada paid between $1,512 and $1,652 per kilo, while two generic brand competitors paid non arms' length suppliers between $194 and $304 per kilo). Even at the inflated price, Glaxo Canada stood to earn a 40% profit margin on the sales of Zantac. The Minister deemed Glaxo Canada's purchase price to be greater than that which "would have been reasonable in the circumstances if ... [Adechsa] and ... [Glaxo Canada] had been dealing at arm's length," and therefore reallocated Glaxo Canada's profits under ITA s. 69(2) using $300 as the appropriate price for ranitidine. Glaxo Canada argued that any reasonable business person would enter into the supply agreement with Adechsa in order to obtain the benefit of the license agreement with the Glaxo Group. The trial judge assessed the license agreement and the supply agreement separately, and upheld the Minister's assessment but allowed an adjustment of $25 per kilogram to reflect the price of processing the ranitidine, therefore setting the arm's length price at $325 per kilo. The Federal Court of Appeal decided that the license and supply agreements should have been assessed together and determined that Glaxo Canada’s business circumstances were not comparable with the generic brand competitors because the question at issue was “whether that arm’s length purchaser would be able to sell his Ranitidine under the Zantac trademark." The FCA therefore found that the Tax Court erred in not considering the license agreement as a circumstance, and sent the matter back to trial court to decide whether the price was reasonable under the circumstances (following Gabco). On appeal, the SCC is to determine (1) whether the Federal Court of Appeal erred by applying the reasonable business person test to the interpretation of subsection 69(2) of the Income Tax Act; and (2) whether the Federal Court of Appeal erred in interpreting subsection 69(2) by failing to apply the arm’s-length principle on a transaction-by-transaction basis and on the basis that members of the multinational group are operating as separate entities. My own view is the Gabco reasonable business person test was wrongly applied, and the license and supply agreement must be viewed separately under any coherent transfer pricing assessment, otherwise the taxpayer is free to create any pool of agreements they want to and tie them all together to justify any price--in other words, there would never be any comparables and you might as well not have a transfer pricing regime at all. But the case deals with repealed s. 69(2) and not the current standard (ITA 247), so even if the SCC rules against the government here and delivers Glaxo a big win by letting it hide royalty payments in its supply agreement, there is likely still a chance that Canada could have a coherent arms' length rule under current law. Keep in mind that Glaxo settled a similar transfer pricing dispute in the US for $3.4 billion back in 2006 pending a trial that was to begin in 2007; the bulk of the issues in that dispute involved Zantac, but the issue was the deductibility of royalties connected to marketing intangibles rather than the price paid for ranitidine. The IRS said that GSK conceded over 60% of the total amount at issue in that case. It was the first-ever employee walk-out in the company’s 50 year history, said Dawn Le, a spokeswoman for Making Change at Walmart, a coalition whose mission is to change the way Walmart conducts business. Walmart spokesman Dan Fogleman disputed Le’s charges, claiming that most employees have “repeatedly rejected unionization. “They seem to recognize that Walmart has some of the best jobs in the retail industry — good pay, affordable benefits and the chance for advancement,” he said in a telephone interview with ABC News. Workers at Walmart stores across the country, as Josh Eidelson reports, are threatening to walk out on Black Friday, the biggest shopping day of the year. These labor actions are coming on top of earlier labor actions at Walmart's warehouse contractors linked to "non-payment of overtime, non-payment for all hours worked, and even pay less than the minimum wage." ...Walmart is massive – the company is the largest private employer in the US, with more than 2 million employees. The average American household spends $3500 at Walmart, and in 2006, the company alone represented 2.3% of the American GDP. The company is so powerful that when a Walmart Supercenter comes into your community, the entire community's obesity rate increases. It is also, as New America scholar Barry Lynn has argued in End of the Line, a force that has reshaped the American corporate world. According to St. Louis Federal Reserve President William Poole... "About 20 percent of their associates are part time and that they are going to be increasing that share to 40 percent so they can staff at peak times and get more productivity out of their workforce." Just two months later, Poole offered some very different and shocking news, "My Wal-Mart contact also said that "Wal-Mart is in the process of raising starting wages in about 700 stores. This is the first time in eight years of talking with him that I've heard any comment like that. He said that some of the raises are part of the Wal-Mart, I'll call it "Social/political" agenda because of all the controversy about Wal-Mart." ... The company, not surprisingly, is ... known for brutal tactics against workers. It is known for retaliating against employers who attempt to organize. Walmart employees often rely on food stamps and Medicaid, because of insufficient wages and lack of adequate health care. In 2005 ... Walmart "observed among their own employees a reduction in health care utilization – that is, fewer doctors' visits – but an increase in emergency room visits. Apparently employees are struggling some to make the co-payments and that kind of thing, again emphasizing the stress that exists in many lower-income households." That's as it should be, if you're into Romney's current plan for the health of the 47%. In the 1950s, the so-called "Treaty of Detroit", an agreement between government, business, and labor for ever increasing wages at automakers, set the tone for the next twenty years of political economy. From the 1970s onward, the new social contract was increasingly set, not just by companies like Walmart, but by Walmart itself. As a new social contract, let's call it the "Treaty of Walmart", emerged as a deal cut between the US government, the Chinese government, and global trading corporations, American society began to reflect a race to the bottom. This strike is thus worth watching – if Walmart loses some pricing pressure because of tactics that impact the company's supply chain or ability to sell, we'll be in uncharted territory. More from Stoller on just how deeply Walmart influences manufacturing practices, retail prices, and wages here, and for an international perspective, take a look at this. Cheaters, sponsored by dodgers, and sanctioned by government. So wrong! Cheating F1 team wins the right to deduct its fines from its taxes. Notice the prominent vodafone logo? Yes, that Vodafone. Also, Mobil. If we don't cheat, how can we win? The paper examines how transaction cost approaches (as developed by North and Williamson) can inform international tax law and policy discussions. The international tax regime evolved institutions and institutional arrangements to address transaction costs such as the risk that two countries might doubly tax the same cross-border business profits. It mainly sought to reduce this risk by serving as a ‘commitment projector’ that enables governments to make credible political promises to taxpayers, other members of the public and other governments that they will not overtax these cross-border profits. As a result of these political commitments, taxpayers do not need to incur transaction costs they would otherwise have to sustain to identify and protect their global tax liabilities. In other areas, however, the international tax regime does not facilitate credible commitments. The talk will focus on one such challenge to the regime, namely the 2010 U.S. proposal to create a global tax reporting system via the Foreign Account Tax Compliance Act or FATCA. By eschewing traditional bilateral and multilateral cooperation when it introduced FATCA, the United States subverted its ability to offer credible commitments and raised transaction costs for economic participants. The talk will review the impact of FATCA on U.S. expatriates (and others) in Canada as well as potential options available to the Canadian government to resist FATCA. Anyone following FATCA in Canada knows that Prof. Cockfield has been tough on the regime, and I look forward to hearing him flesh out his position in person. The Colloquium is open to all. If you will be in Montreal on Monday, I invite you to join us at 11:35am at the McGill Law Faculty, Chancellor Day Hall Room 202, 3644 Peel Street. A common-law couple (Productions Merveilles), both lawyers, tried to avoid a transfer tax that is usually incurred when selling immovable property (i.e., real estate). Each party owned a company with an independent active business. Property was transferred between the two companies. The couple argued that due to their personal relationship, identical corporate infrastructure (e.g., same business address), and shared benefit, they share the same patrimony and therefore these transactions should meet the standard of “closely linked entities” (defined as having control of at least 90% of shares) and be exempt from the transfer tax. Judge Wagner rejected the shared patrimony argument and found they had a joint venture, decision in favor of the City of Montreal. Filmar claimed false business expenses to evade taxes. The CRA proposed amnesty if the fraudulent invoices were surrendered. Filamr complied, but only partially. After realizing that disclosure was only partial, the CRA further extended its amnesty in an effort to gain Flimar’s full cooperation. When Filmar refused to comply, the CRA obtained a search warrant and seized documents. Filmar claimed his Charter rights were abused (section 7: “right to life, liberty and security”; section 8: “unreasonable search and seizure”; and, section 24(2): “exclusion of evidence that would bring the administration of justice into disrepute”). Justice Wagner disagreed: the seizure was valid, the CRA’s actions were in compliance of the applicable laws, Filmar’s non-compliance invalidated any limitations on seizures, and furthermore the CRA was reasonable, and even generous, in its dealings with Filmar. IBM sought to exclude certain assets from its municipal base (tax expenditures for industrial use of a facility). The city of Bromont disputed IBM’s assessment. The Quebec Administrative Tribunal ruled in Bromont’s favour. The Court of Quebec reversed. The Superior Court found that part, but not all of IBM’s exclusions should be allowed. Appeal denied: the Superior court’s decision was reasonable; there is neither an issue of interest, nor one that creates controversy. Affirmation of Superior Court’s decision to allow the search and seizure of commercial documents in a criminal tax investigation, citing public interest as the reason for upholding the lower court’s judgement. Banque Nationale managed a bankrupt company’s assets, during which money allocated for taxes was not paid. Held: Banque has a fiduciary relationship, through a constructive trust, with Revenue Quebec and must pay part of the unpaid amount. Short joint decision concerning how fees wrongly incurred by the municipality should be refunded. A group of soldiers filed a class action, claiming that they were wrongly assessed by Revenue Quebec for income earned while serving overseas. The Superior Court declined jurisdiction and said the action should have gone through the Court of Quebec (provincial court). Appeal Allowed: the Superior Court was a valid vehicle for the claim. Nothing too earth-shattering here, though the government or agency prevailed in most cases. It's a very small sampling size, so I am not sure we can read too much into that. Interestingly enough, among his many accomplishments, Justice Wagner was President of the Quebec Bar's Construction Law Section. We've got lots of problems with the construction industry here in Quebec. Too bad we haven't had an Al Capone moment. Maybe we still will. * I note a bit of an oddity here with respect to the swearing in. I've got a SCC press release in my inbox that says the following: "OTTAWA, October 12, 2012 – The Honourable Mr. Justice Richard Wagner was sworn-in as a judge of the Supreme Court of Canada before The Right Honourable Beverley McLachlin, Chief Justice of Canada, and the judges of the Court in a private ceremony on October 11, 2012. A formal welcome ceremony will take place on a date to be announced." Nowhere on the web can I find any information at all about this swearing in ceremony or the formal ceremony to come, indeed I cannot even find the press release itself on the SCC website or on the Canada News Centre press release site, where they ostensibly post all government press releases as they emerge. So now I am curious, why is there a private swearing in, and a "formal welcome ceremony"? And is it really not news that a new SCC Justice has just been sworn in? Canadian court & media watchers, please advise of this custom. Goodbye Prince Roy, I am very sorry I never got to meet you. And what explains why college costs more for women in the U.S., Germany, and Canada? It can't be a base price differential along gender lines, I would think (lawsuit, anyone? ), so is it that men are given more scholarships? I can't see how this information in any way squares with the notion that women are pulling ahead of men. If you're entitled, you probably don't deserve it. But if it becomes rhetorically acceptable to use entitlement to mean the opposite of entitlement, this creates a license for the damn politicians to scrap these programs after all. This is so even if, like social security, such programs are not actually in fiscal straits. Rhetoric matters, maybe far too much, in politics. It is all too easy to convince people that entitlements are not deserved, therefore anything called an entitlement can and should be eliminated. Worse, so long as you use another term to describe other benefits doled out by government, you get a pass from this scrutiny and judgment. "Tax incentives" is a ready candidate to fil that rhetorical space, as we have seen in this campaign. Its fascinating to me that elites will only accept high marginal tax rates for purposes of destruction, namely, war. When it comes to building something, a marginal 75% tax rate on top incomes is seen as outrageous and out of the question-no sane person could support it. Tax resistance is really anti-social in that way. This newspaper's review of tax return data for 2010, the most recent year for which data is available, found no link between the state income tax rate and the number of people who reported adjusted gross income of at least $1 million. The states with the most and fewest rich people per capita are Connecticut and West Virginia, respectively. In Connecticut, one of 190 taxpayers earns at least $1 million in adjusted gross income. In West Virginia, just one out of every 1,400 filers make that much. Yet both states tax rich people about the same. Our neighbors: Nevada is income-tax free; Oregon has one of the nation's highest income taxes on the rich; and Arizona is about average. Yet all three have a below-average number of rich people per capita. In the Midwest: Illinois and Ohio charge about the same income-tax rates and have similar populations. Yet Illinois has 233 millionaires per 100,000 taxpayers, while Ohio has 107 per 100,000 taxpayers. In the Northeast: Massachusetts has more than double the millionaires per capita than neighboring New Hampshire, which is income-tax free. Murphy concludes from this report that "It's fairly easy to move in the US. But people don't." He therefore suggests we lay the mobility myth to rest since it would be comparatively much more difficult to move across national borders. If people don't do it when it's easy, what will make them do it when it's hard? I think and hope this is generally true--that people have cultural/social ties to places that prevent purely fiscal decision-making, so we don't need to coddle the rich out of fear of a Randian exodus, but can ask them to contribute more to the societies in which they live. But the high profile cases we see in the news suggest that when it comes to the super-rich things might not be so clear. Maybe they stay put but nothing stops them from engaging in the standard game playing that puts money out of sight to governments while doing so. It could even be worse for society if they physically hang around but play all kinds of games rather than paying their taxes; in that case, it might be preferable if they pull a Saverin. I'm glad to see Polanyi on the list, and right beside Adam Smith, precisely correct (though in their full listing the two are separated by Schumpeter and Gerschenkron, fair enough. As to Easterly I am not as enthusiastic but I will watch it anyway. Also on the list: Krugman, Stiglitz, Ostrom, Rodrik, Acemoglu, Banerjee, Collier, more. Yes, the list is almost wholly male--only Ostrom, Anne Kreuger and Esther Duflo are included and all three are American (ok, Duflo is also French). Nevertheless it looks like a fascinating series. From the Guardian: Glencore accused of slashing tax bill by using complex insurance deals; Commodity trader's UK profits are being depressed, but company says contracts are not designed to avoid tax. A leading tax expert has accused Glencore of cutting its UK tax bill by tens of millions of pounds after profits at the commodity trader's London arm were depressed by complex insurance contracts taken out with its own parent. ...The derivative instruments being employed by Glencore are widely used by companies to insure – or hedge – financial risks. They theoretically guarantee a certain return. Last year, Glencore UK's derivative trading with other parts of the group totalled $383bn (£267bn), more than twice the yearly budget of the National Health Service. The practice resulted in a $122.8m loss for the London-based business, effectively docking that amount from UK profits and transferring it to the main group based in the low-tax Swiss canton of Zug. Richard Murphy, of Tax Research UK, said: "Glencore is insuring itself with itself. If I insure my house for fire with myself and it burns down, I've got to pay myself for the house which has burnt down. That's what Glencore is doing, and the consequences are that the risk is never leaving Glencore; it's still inside the group. That's $383bn worth of trades that, on the face of it, make no sense whatsoever. We don't know, but it is highly likely that the motivation is not genuine insurance and it looks like a significant amount of tax planning takes place within this trading function." Murphy said ..."This is totally legal but what we are seeing is a significant change in the way in which multinational corporations are now looking to move their profits around the world. "All the evidence is that throughout the extractive industries – the mining industry, the oil industry, the gas industry and so on – the way in which people are shifting profits now are derivative financial products." Glencore UK's accounts show that its massive turnover of $59.8bn in 2011 resulted in a pre-tax profit of $99.1m, a margin of less than 1%. A tax credit, the result of unrelated employee share awards, took total profits for the year to $115.7m. Had the $122.8m derivatives loss remained in the UK and been added to those profits, it would have attracted taxes of about $32m. Glencore insisted that lowering its tax bill was not the purpose of the derivative trades. Glencore's Baar-based spokesman said: "The derivative contracts Glencore Energy uses in London with its parent company in Switzerland are effectively tools to help it manage risk. "They enable risk to be concentrated at the centre, where it can be absorbed due to the size of its capital base. These are standard contracts used by many companies across many industries. This is about managing risk and nothing to do with avoiding tax. Like all major global corporations, we work closely with local tax authorities to ensure that we pay the correct and appropriate amount of tax." I note what Glencore say but cannot agree. There [sic] argument appears to be London cannot bear the risks of these trades so they have to be moved on but a simple guarantee (or more capital) would overcome that issue and save the enormous cost of $383 billion of trading. However, those trades do take place which means there must be an economic justification for the cost of doing them, and tax is the only one I can see. The 2013 research workshop co-organised by the Association for Accountancy & Business Affairs,i City University,ii and the Tax Justice Network,iii will explore connections between tax justice and inequality. 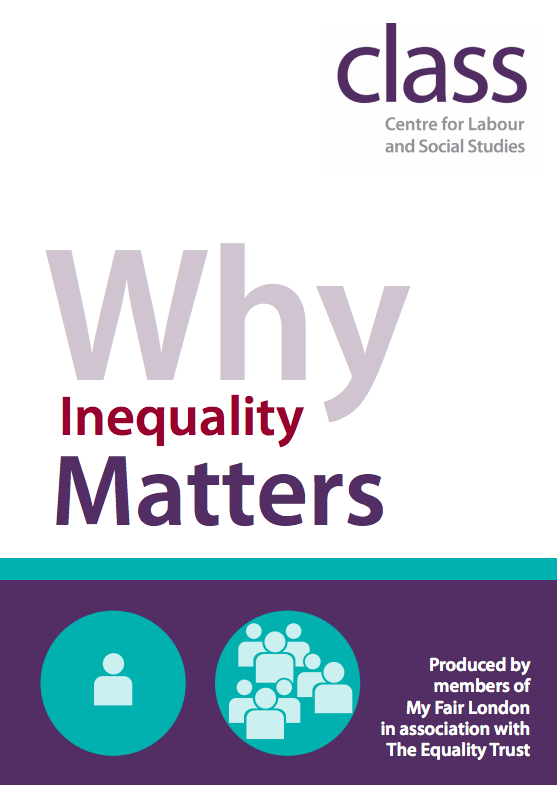 This opens up possibilities for papers on a wide variety of themes, including taxation of wealth, case studies of innovative tax measures to reduce inequality, how tax expenditures favour particular groups, tax and access to housing, tax and inter-generational wealth distribution. Other related themes are likely to emerge as the workshop programme develops. This workshop will bring together researchers, academics, journalists, policy staff of civil society organisations, consultants and professionals, elected politicians and/or their researchers, and government or international organisation officials. The purpose of the workshop is to facilitate research through open-minded debate and discussion, and to generate ideas and proposals to inform and shape the political initiatives and campaigns already under way. There will be a small charge for attendance at the Workshop. Participants are usually expected to finance their own travel although applications from students and others with limited means for bursary support will be considered. You can download a PDF version of this Call for Papers here. The Journal of Philosophy of International Law (JPIL) is a peer-reviewed (and currently an open source Journal) published by ElectronicPublications.Org Ltd—a publisher with no institutional affiliation. The JPIL’s sister publications are the Manchester Journal of International Economic Law and the Journal of Islamic State Practices in International Law. The JPIL is being re-launched and will be published twice a year (May and November). The Journal has a distinguished Advisory Board and its aim is to provide an established scholarly platform for the philosophy of international law. Critical examination of and legal reflection on the foundations of International Law. Philosophical analysis and critique of the nature of the international legal order or any aspect thereof. Historical enquiry into International Law for philosophical purposes, or intellectual history as related to the foundations and development of International Law. Ethical issues in International Law or the uses of International Law for ethical debate. Ontological questions of the existence of International Law and the nature of the reality it attempts to regulate, such as states, humanity and world society. Epistemological questions of an interdisciplinary nature and enquiry into the limits of disciplinary approaches such as positivism in International Law. The Journal welcomes submissions of articles and reviews for consideration with a view to publication. The normal word length for article contributions is between 4000-8000 words. The normal word length for reviews/commentaries should be 1000 to 1500 words. Submissions (except reviews/commentaries) should include a short abstract of not more than 60 words. The style guide for references is Oxford University Standard for Citation of Legal Authorities (OSCOLA). I'm still scratching my head over this. So...is trickle down nonsense now? Or is it affirmed as solid doctrine, but bad if it involves government? Is it an argument that government should inure to the benefit of the top, whose contributions to society will have the effect of trickling government largesse down to the 47%? Or is it to say that government programs aimed at the top are no good because they will (or will not?) trickle down? I'm stumped. Not that many dentists actually accept Medicaid. There are some states where the reimbursement rates are so low that even the chains don't go there. Like in Florida, for example, the Medicaid rates are so low there that chains don't really even bother. So children end up going to the emergency room because they have a toothache and there's nothing else they can do. They end up in hospitals to treat a tooth. There was a famous case in Maryland where a 10-year-old boy had a toothache and it was abscessed and he ended up dying because he didn't have a dentist. We looked at two of the larger [dental] chains, and found evidence that these companies were putting pressure on their dentists to produce at certain revenue targets, thus encouraging them to do procedures that may have been unnecessary. ... One of the chains focused on kids on Medicaid, and the reimbursement rates for Medicaid are pretty low. So in order to get a lot of revenue from these patients they were doing things like taking x-rays that were not needed, or putting stainless steel crowns instead of fillings on their teeth. They could make twice as much money from Medicaid on these crowns versus just putting a filling on a tooth. Kids were getting treatments that they really didn't need. These days, when dentists get out of dental school, they often owe anywhere between $200,000 and $300,000 dollars. Dental school is actually more expensive than medical school. So they come out with these huge debts, in a lot of cases they can't really afford to start their own practice. These dental chains hire people, a lot of the time right out of dental school, and they pay fairly decent salaries and they have a bonus system where the more work you do on a patient the more you get paid. That's true for a private dentist as well, but the difference is that these companies are owned by private equity firms, and they're managed in a different way. You have people who are not dentists coming up with a business plan that's based on metrics. They try to get new patients in who haven't been to the dentist in a while, and they've already calculated how much revenue the average new patient should generate. The report goes on to show that the problems are mostly undetected because there is insufficient oversight. A scholar who works on corruption in governance once told me that the recipe for corruption is greed plus opportunity. You can't stop greed, he said--that's human nature. But society has got to find ways to curb opportunity. That's after all one of the main reasons to form a society at all--namely, to curb the human animal's propensity to exploit and destroy one another for personal gain. For more on this issue, you can watch "Dollars and Dentists" at PBS. One of my, if not my biggest, pet peeves with popular press reporting on taxes is when reporters blame "IRS Rules" for some perceived tax abuse. For example, today's New York Times (also linked on TaxProf) claims that the difference in tax treatment between a partnership interest and a fee from a corporation is one such rule. I thought the Internal Revenue Code provided for a separate tax on corporations and for partnerships to be treated as flow-through entities, which is why carried interest is taxed differently than fees paid by a corporation. Or maybe the Supreme Court? Or the Circuit Courts? Even Treasury Regulations don't come directly out of the IRS. The IRS does an incredible amount of work administering the tax laws of the largest economy in the world, and there really are rules published by the IRS that can have substantive effect , but the IRS does not (and cannot) make these more fundamental structural legal choices. Why care so much? Because the use of "IRS rules" gives the impression that somehow there is a shadowy underworld of bureaucrats conspiring with shifty practitioners and taxpayers to avoid or undermine obviously correct tax consequences, rather than face the difficult policy choices inherent in constructing a tax law which involve real and difficult trade-offs. As someone who struggles with these issues, this concerns me. How is the country supposed to engage in a real policy debate without directly confronting these difficult policy choices? Perhaps not all is lost, though - the Times editorial board seems to be able to get it right. More personally, however, I suppose I am just tired of explaining to people that the IRS had nothing to do with why Bain can form entities in the Cayman Islands and defer paying taxes. Oh well.